Always try to be cognizant the effects mother nature can have on your fence. 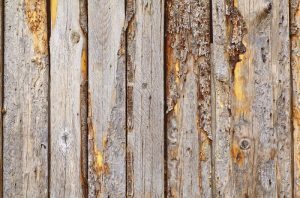 Weather conditions can provide your fence with a nasty beating. This is especially the case for non-metal fences. The good news is that there are preventative measures you take to lessen the effects of weathering. Even wind can take a toll on the appearance and structural integrity of your fence. That being the case, here are some tips for keeping your fence safe from the wind. Do you have trees need your fence line? Fallen tree branches can easily cause damage to your fence. The smart move would be to remove any low-hanging branches that could potentially fall on your fence. If the actual tree is in your next door neighbors property, you should ask them if it is okay to remove the branches. Also, be sure to remove any dead trees or branches that are near your fence. Do you have anything in your yard that could potentially be swept away by the wind? This may include furniture, sporting equipment, trash cans, or lawn ornaments. You don’t want these kinds of things being flung into the sides of your fence. If you can, try to remove these objects from your yard if you hear that there is a windstorm in the forecast. If you can’t move them, you can also take other measures to ensure they are secure. It is a good idea to spend some time every so often to check the loose fence posts. This is especially the case if your fence is on the older side. You could use either wood, metal, or concrete to do so. This will help your fence stand up to all types of storms you experience in your area of the country. If you have a gate on your fence, be sure you keep it locked. In addition to security reasons, a gate can damage your fence if it is constantly being flung open by the wind. This entry was posted on Thursday, December 21st, 2017 at 4:16 pm. Both comments and pings are currently closed.